The broadcasters are using drones among other technology at this week's tournament. Drones are among the technological innovations being used at the US Open this week by host broadcasters Fox. The network are including the new technology as part of their first year providing the coverage, with NBC having broadcast it in previous years. As well as drones hovering over the course, coverage is also being modernised by use of a remote control car carrying a camera. 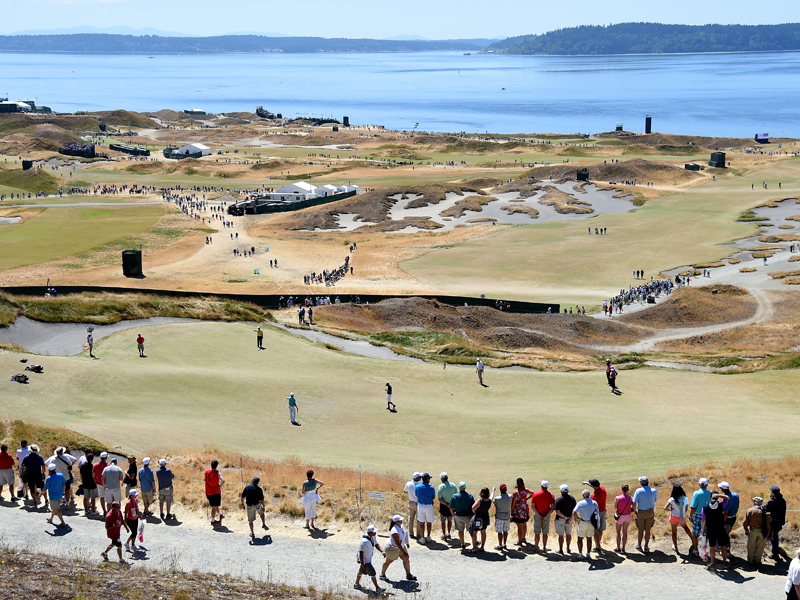 The cars are travelling over the many undulations that characterise Chambers Bay and that have caused part of the debate about the course. The ball tracer system is also in use, allowing viewers to clearly see the type of shot struck from the tee. Fox are using 200 microphones, with 18 placed inside the holes. As well as the new technology being used, Fox also have two-time major winner Greg Norman in their studio. It is thought that Fox Sports paid over $1billion for the rights to show the tournament starting from this year. The deal was agreed in 2013 and will run for 12 years, by which time even more technological advancements are likely to be in use. The American broadcaster are providing the original footage for UK audiences, who can follow the US Open on Sky Sports at these times.